I can see clearly now, okay? 1. Zenni Optical manufactures all kinds of prescription eyewear. They even sell prescription goggles! Excuse me while I put on my goggles and go for a deep sea dive. 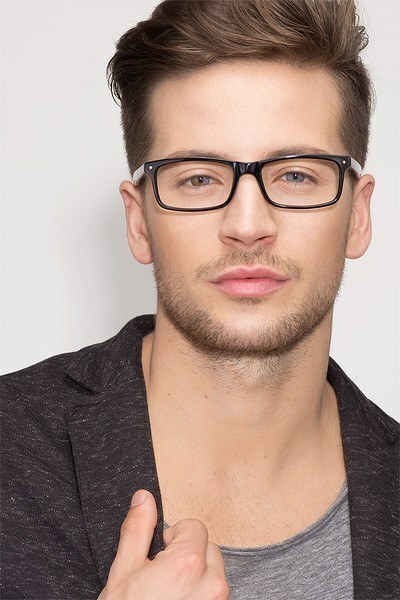 Frame prices: Frames start at $6.95 with single-vision lenses included. Lenses: Progressive lenses cost $27.95, bifocal lenses cost $17, and fingerprint resistant lenses cost $14.95. Try-on: Virtual try-on is available; upload a photo of yourself to see how you would look in the glasses. Shipping and returns: The glasses will ship within 7 to 14 business days with a $4.95 shipping rate for domestic orders, $9.95 for international. If you made a mistake during your order or just straight up don't like the glasses, you can return them for 30 days and get a 50% refund OR get 100% refunded via store credit. Shipping charges are non-refundable. 2. 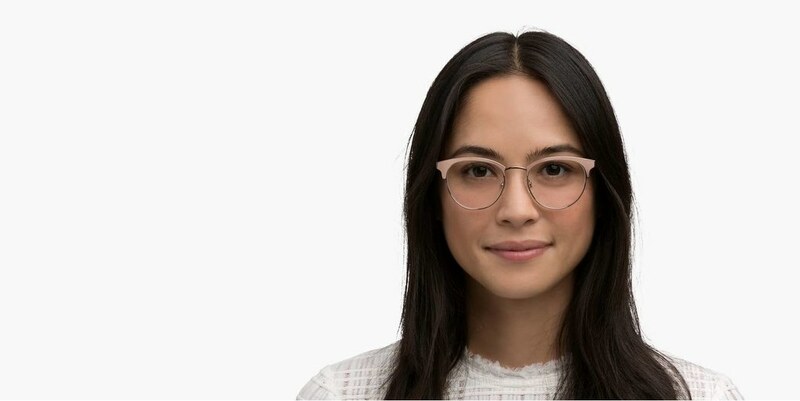 EyeBuyDirect lets you wear your prescription glasses for 14 days. If you're not fully satisfied, just send them back. Plus, they've donated over 30,000 pairs of glasses to people in need. Frame prices: Frames start at $6. Lens prices: Single-vision lenses cost $6.95, bifocal lenses cost $29, and free-form progressive lenses cost $49. Shipping and returns: The glasses will ship within 7 to 14 business days; expedited shipping is available for $19. You have14 days to request a free replacement, plus a guaranteed one-time replacement within the first 12 months. 3. 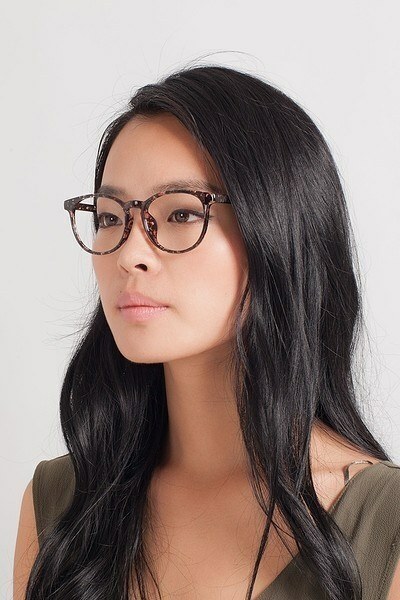 Warby Parker is known for allowing customers to try on glasses at home before purchasing them. Don't like 'em? Don't buy 'em! Warby Parker also partners with Vision Spring, meaning for every pair of glasses bought, one pair is given to someone in need. Frame prices: Frames start at $95 with single-vision lenses included. Lenses: High-index lenses cost an additional $30, and progressive prescriptions cost $295. Try-on: You can order five pairs of glasses to try on at home, and you have five days to return them. Shipping and returns: The glasses will ship within 7 to 12 business days; expedited shipping is available for $30. You have 30 days to return you purchase, and you can get a free replacement for scratched lenses within the first 12 months. Get the first pair here and the second glasses here. 4. Glasses Shop gives you a 50% off discount when you sign up for their newsletter, plus a 25% off student discount. Frame prices: Frames start at $19.95 with single-vision lenses included. Lenses: Bifocal with line lenses cost $19, progressive lenses cost $39, and free-form digital progressive cost $49. Shipping and returns: The glasses will ship within 7 to 15 business days with a $4.95 shipping rate; shipping is free on orders of $49+. Expedited shipping is available for $19.95. You have 14 days to return your purchase for a partial refund (there's a 50% restocking fee). You get a free replacement frame if you’ve broken your frames within the first 30 days. 5. Steven Alan Optical creates eyewear inspired by urban settings and cities. Hold on, let me hail my cab. Frame prices: Frames start at $195 with single-vision lenses included. Lenses: Progressive lenses cost $375. Shipping and returns: The glasses will ship within 10 business days. You get 30 days for an exchange or full refund, plus a one-year warranty. 6. 39 Dollar Glasses offers quality glasses that cost (you guessed it) $39! Plus, all pairs are handcrafted in the US. Frame prices: Frames start at $39 with single-vision lenses included. Lenses: Bifocal and progressive lenses cost $119. Shipping and returns: The glasses will ship within 3 to 7 business days with a $4.95 shipping rate for domestic orders, $12.95 for international. You have 90 days to exchange your purchase or receive store credit, with 30 days to get a full refund. Free return shipping. Get the first pair here. 7. Glasses USA always has sales and promos going on. For example, progressive lenses are now $70 off. Frame prices: Frames start at $38 with single-vision lenses included. Add-on prices: Progressive lenses cost $139, and bifocal lenses cost an additional $99 . Shipping and returns: The glasses will ship within 7 to 10 business days; expedited shipping is available for $12.95. You have 14 days to return your purchase and receive a full refund; it comes with a prepaid return label. 8. Coastal offers base lenses that are 22% thinner than those offered by other retailers. Frame prices: Frames start at $35 with single-vision lenses included. Lens prices: Get thinner lenses for $45. Try-on: No, but they have glasses catered to specific face shapes. Shipping and returns: The glasses will ship within 5 to 7 business days. You have 30 days to get a full exchange or refund. 9. Bon Look creates statement eyewear that's designed and manufactured in-house at their Montreal headquarters. Frame prices: Frames start at $99 with single-vision lenses included. Lenses: $299 for progressive lenses. Shipping and returns: The glasses will ship within 2 to 5 business days, and shipping is free on orders of $80+. You have 30 days to request a refund. 10. David Kind offers a 10-year warranty for frames, as well as a one-year scratch warranty for lenses. Plus, they use patented photo measurement technology to guarantee a ~perfect~ fit! Frame prices: Frames start at $295 with single-vision lenses included. Lenses: Free-form progressives cost $80. 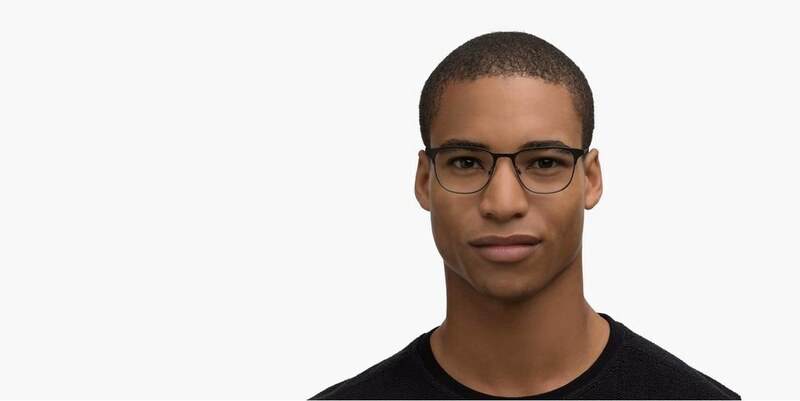 Try-on: Yes, you can try on up to six frames at home for up to six days; you choose three pairs and an in-house optician will choose three more. Shipping and returns: The glasses will ship within 7 to 10 business days. You have up to 30 days to request a refund, plus there is a 10 year warranty policy. 11. Fetch Eyewear loves animals, which is why they donate 100% of their profits to animal charities. Learn more about the Pixie Project here. Frame prices: Frames start at $125 with single-vision lenses included. Lenses: High-index vision lenses cost $40. Try on: Yes, you can try on six pairs for seven days. Shipping and returns: The glasses will ship within 1 to 5 business days. You get 30 days for a full refund or exchange. Looking for a new pair of contacts instead? Here are the best places to order contacts on the internet!